This module will allow your customers to upload pdf and zip plus jpg, png and gif on your product. You can then retrieve your backoffice in their orders. This module will help you improve your product at field level customization. 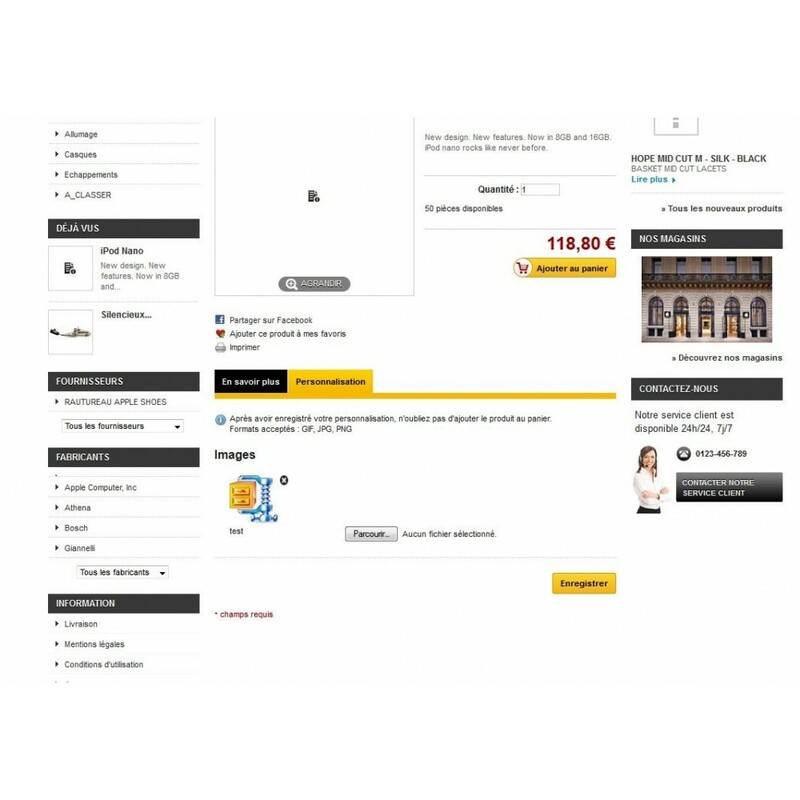 Currently you can not ask your customers to reach their order an image (jpg, gif, png). With this module you will be able to allow them to reach their order a zip or pdf. Ideal when your product need customization, or you need additional information to fulfill your order. So you need a copy of registration certificate, contract, order, no worries ... this module will allow your customers to be able to join the command every type of document without having to email next could be lost.